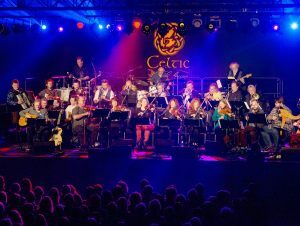 If there’s one way of shaking off those winter blues, it’s undoubtedly a visit to the hugely successful Scottish festival Celtic Connections, where musicians linked to the Manx music scene showed ticket holders just how vibrant the trad scene is on the Isle of Man. 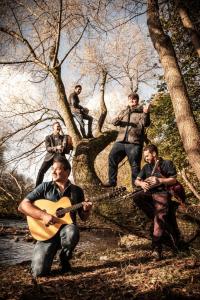 Based in Glasgow, this annual folk, roots and world music festival attracts more than two thousand musicians from across the globe, for eighteen days of festival fusion and the pick of a staggering three hundred events. The festival is renowned for its strong ethic of collaboration and having an almost instinctive ability to select some of the world’s finest singers and musicians for this annual event. Many Manx performers have been able to take advantage of this winning formula, and this year proved no exception. Adam Rhodes, Tom Callister and Jamie Smith are all well known musicians on the Manx circuit and appeared in Glasgow under various guises. The Unusual Suspects, incorporating all three music maestros, is a long standing, transatlantic combination, which derives its influences from a myriad of musicians; some of which are linked to more mainstream names such as Elton John, Wham and Tower of Power. The current team stems from a powerful performance at the Nova Scotia based Celtic Colours Festival, after which they were subsequently invited to Glasgow, where they slipped in a selection of original and traditional Manx tunes during their performance at the Glasgow Royal Concert Hall. Additionally, Tom and Adam made a further appearance at the recently built RSNO Theatre as part of a new line-up called Ímar. Said to be Glasgow’s hottest new folk property, their sell-out concert doubled as a perfect opportunity to launch their debut album Afterlight. Ímar will also be performing at the Centenary Centre in Peel on the 14th April, before heading off on an extended tour of the UK and Ireland. During 2015 the Celtic Connections festival secured the Art and Culture Award at the Inspiring City Awards ceremony. The awards were created to celebrate the people and organisations of Glasgow, with the ceremony organised by the Herald and Glasgow’s Chamber of Commerce in association with People Make Glasgow. Videos of both The Unusual Suspects and Ímar are available on YouTube.